The world’s first smartphone with an in-display fingerprint sensor, the Vivo X20 Plus UD, was launched at an event in Beijing yesterday. The smartphone has been priced at 3,598 yuan and will start shipping in China from February 1. The smartphone is pretty much identical to the original X20 Plus, other than the fingerprint sensor which has been moved from the rear to underneath the display. In order to accomplish that, Vivo made use of Synaptics’ new Clear ID sensor. The Vivo X20 Plus UD features a black and gold chassis which houses a 6.43-inch 2160×1080 FHD+ OLED display, a Qualcomm Snapdragon 660 SoC, 4GB RAM, and a 3,905 mAh battery. The smartphone has a 12MP+5MP f/1.8 dual camera module on the back and a 12MP f/2.0 camera for selfies. In terms of storage, it comes with 128GB of internal memory which can be further expanded by up to 256GB via microSD card. Additionally, it features a ES9318 DAC which sets it apart from other mid-range smartphones in the market. The in-display fingerprint sensor on the smartphone is quite fast and is capable of unlocking the device in just 0.6-0.7 seconds. However, Vivo adds that applying a screen guard on the display might adversely affect the sensor’s performance. Vivo claims that the sensor will function normally, as long as the screen guard doesn’t exceed a particular thickness (0.68mm). If a thicker screen guard is applied it will affect the fingerprint’s reflection as seen by Synaptics’ optical sensor, thereby causing issues. 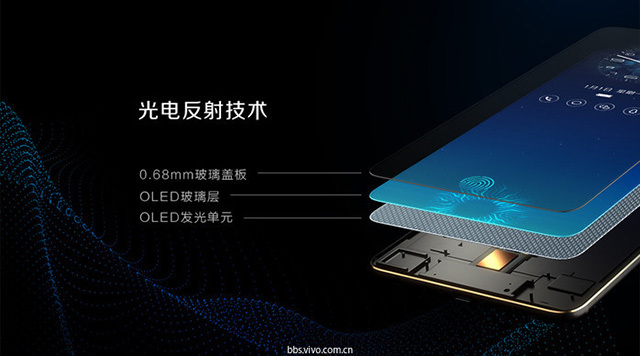 In order to save the consumer from the trouble of finding a screen guard with an appropriate thickness, the X20 Plus UD will come with a pre-applied screen guard, but users might have to buy future replacements from Vivo to ensure compatibility. For people who don’t use a screen guard on their smartphone, this won’t seem like a deal breaker, but for those who do, it might turn out to be a hassle. Another potential issue to take into account with the in-display fingerprint sensor is the possibility of cracks and scratches on the screen hampering the functionality of the sensor. Therefore, using a screen guard is advisable in this case. As of now, we can’t comment on the performance of the sensor as the screen wears over time, but the effect that has on the performance might make or break the in-display sensor from being used on future devices.